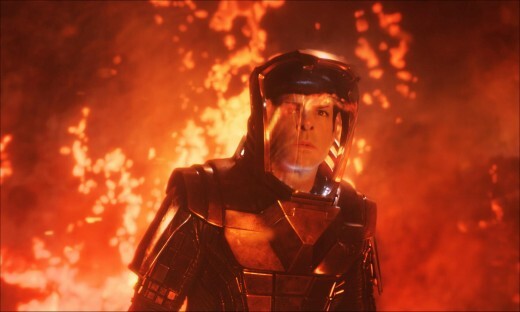 Paramount Studios has released a dramatic clip from Star Trek Into Darkness. You get to see most of the crew here. Spock’s in a volcano and be sure to keep your eye out for the giant fish. Star Trek Into Darkness opens in IMAX theaters on May 15 with general release on May 17. The film stars Chris Pine, Zachary Quinto, Zoe Saldana, Karl Urban, John Cho, Bruce Greenwood, Simon Pegg, Anton Yelchin, Benedict Cumberbatch, Alice Eve and Peter Weller.